The health economic evidence of vitamins tends to be limited. An important reason is that vitamins do not fall always under the coverage requirements for reimbursement, like for pharmaceuticals, which often require health economic data. 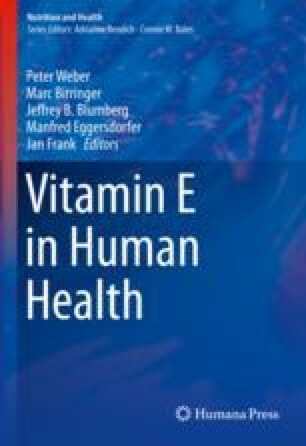 The objective of this chapter is to describe the applications of health economic theories and models of vitamin E to obtain a better understanding of the possible impact of this essential micronutrient on healthcare costs. An initial question is if vitamin E can be considered a pharmaceutical product or a nutritional intervention. Subsequently we explore the introduction of vitamin E in the consumer market and the medical market. After a general introduction into health economics, the main concept of the cost per QALY gained is applied to vitamin E, which reduces the risk for cardiovascular complications in type 2 diabetes mellitus patients with Hp 2-2 genotype. The analysis shows that the use of vitamin E in all type 2 diabetes mellitus patients, irrespective of Hp genotype, leads to an incremental cost-effectiveness ratio (ICER) of £ 684 per QALY gained compared with no vitamin E. When vitamin E is only used in diabetes mellitus patients following a positive diagnostic test for Hp 2-2 genotype, the ICER falls to only £ 41 per QALY gained. This application shows that concepts of health economics can be applied to vitamin E, and the results show that vitamin E is extremely cost-effective. National Institute for Health and Clinical Excellence. Guide to the single technology appraisal (STA) process. 2010. www.nice.org.uk/aboutnice/howwework/devnicetech/developing_nice_single_technology_appraisals.jsp?domedia=1&mid=912F667C-19B9-E0B5-D43AD56E114A62D9 24/09/2010. Accessed 4 Oct 2010.